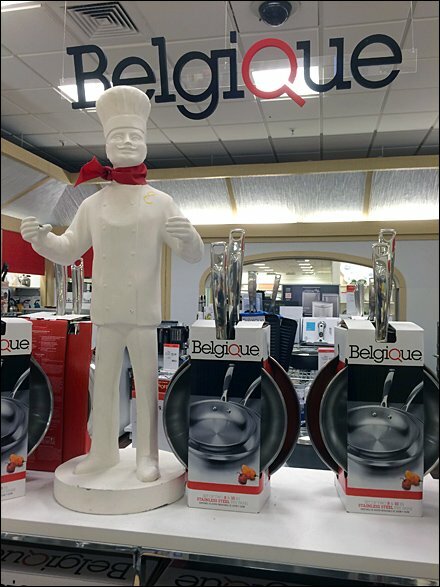 Mannequins and human forms are not often seen in cookware, so that makes this Belgique® chef’s statue all the more eye-catching and unique as a brand champion. Somehow he even looks Belgian though Belgique is a Macys brand. I forgot to search the department for a Belgian Waffle Maker, and regret that oversight now. CLICK the gallery for broader views of Belgique branding. See that many offerings are packaged so as to foster self merchandising from shelf-edge or table top, though handle hang is still an option.